How we preserve material history in a digital ecology is one of the most pressing issues facing archival institutions in the twenty-first century. Material artifacts — as objects of memory — remain highly integral to textual criticism. Yet as emergent information technologies have become ever-present tools of academic scholarship, archives are faced with the challenge to integrate physical records with the digital environment. Recalibrating the documentary record to meet these demands requires that technicians, scholars, librarians, and educators of the humanities work in tandem to develop a comprehensive understanding of the similar social forces that “power and structure” bibliographic records and the digital environment (22). At stake is not only the sustained preservation of cultural memory but also the optimization of methodologies and the vocabularies needed to reflect upon the literary text. 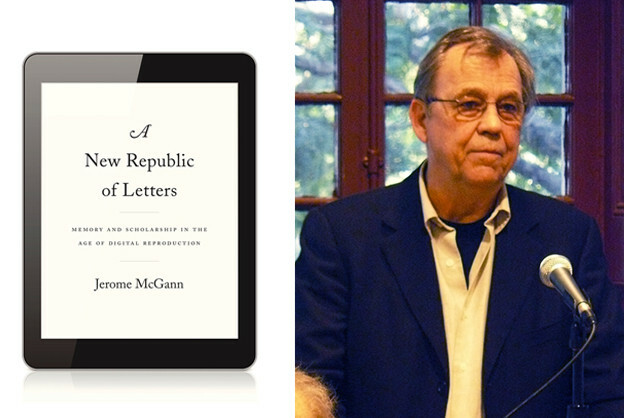 Jerome McGann’s A New Republic of Letters provides, then, a much-need intervention into the current state of the humanities by undertaking a lively, humorous, and at times personal exploration of the potentials and faultlines of critical inquiry in the digital age. Developing an appreciation of our digital archival culture need not necessitate the “end of books” — a claim that has remained current since Octave Uzanne’s 1894 article that takes it name from the phrase — but it does presume a novel reorientation toward our bibliographic records in order to meet efficaciously the technological demands made on traditional institutions of knowledge and memory. Meeting these demands, McGann proposes, requires the practice of “philology in a new key” (3): a discipline that addresses not only the text and its deployment of language but also its historical networks and cultural registers, so as to adopt a long-view perspective on the intersections between the bibliographic and digital records, as well as the sociohistorical fields that continue to inform them. A philology 2.0 specially rebooted for our digital condition acknowledges both the curatorial limitations of cultural memory and the need for mnemonic agents — the institutions of the archive and their technical apparatuses — to carve out a dedicated scholarly space for the material objects of memory. This space must remain in the sights of scholars and educators of the humanities if we are to design and build successfully the archival software and interfaces needed to preserve our cultural legacies. I want to undertake first a summation of the key ideas in A New Republic of Letters before I offer what I think is the critical foci of the book and their implications for the field. To this end, I settle somewhere between an academic review and a personal response to the central thesis of McGann’s claims. Indeed, McGann advocates for a novel direction in humanities research, one that builds upon a philological foundation of the social text in a digital ecology. By way of a broad introduction, then, A New Republic of Letters has a three-part structure with each section offering a set of questions concerning the relation of theory to method with accompanying analyses of relevant texts and archival organizations. Part one engages the conflict between the respective historical claims of philosophy and philology to textual criticism. Part two provides a detailed exploration of the performative relationships between theory and method, and part three interrogates explicitly the practical issues facing textual criticism within and without the digital environment. 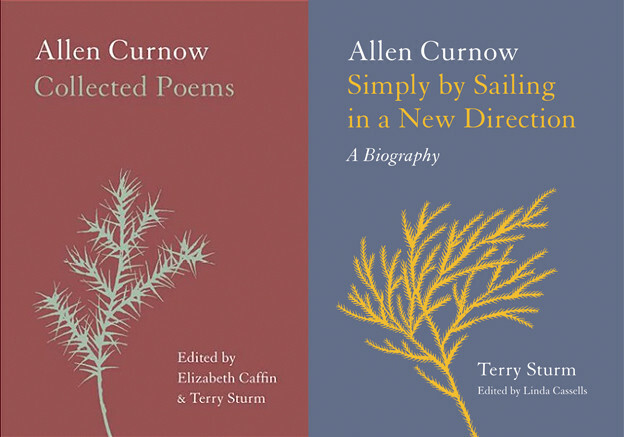 In each of these sections, McGann displays his characteristic intellectual expertise by yoking together discussions on variegated sources, such as Dante Gabriel Rossetti, Robert Creeley, the Ojibwe Digital Archive, Mark Twain, and William Wordsworth. The diversity of McGann’s textual selections, and their interlocking social relations, underscores the need to foreground the materials of textual criticism as they are imported into and distributed throughout the technical apparatuses of digital environments. The question “Why does textual scholarship matter?” frames the discussions in chapter one. As McGann accurately observes, paper-based records are migrating into digital archival systems, a move that “is now being carried out by agents who act, by will or by mistake, quite against the interests of scholars and educators — and in that respect, against the general good of society” (21). Educators and scholars, in other words, must retain their particular stakes in shaping cultural record keeping as well as their “access to and understanding of cultural materials” (23). McGann’s alarm, it seems, is well founded. As Guy Peseech has suggested elsewhere, contemporary archival management is currently experiencing a radical paradigm shift towards commercial and private institutions of memory — exemplified by Google, Corbis, and Getty Images — that tend to favor centralized groups that are “able to reproduce, leverage, and manipulate their social dominance from one generation to the another.” By way of teasing out the relations of bibliographic records to the digital environment, McGann offers an elegant reading of the variegated sociohistorical networks in J. C. C. May’s edition of Coleridge’s works, The Rossetti Archive, and the digital scholarly organization NINES (Networked Infrastructure for Nineteenth-Century Electronic Scholarship), which itself exemplifies a type of memory institution dedicated to cultivating the links between documentary record and scholarship upon philological modes of inquiry. Chapters two and three revisit the historical foundations for the tensions between the disciplines of philology and philosophy. McGann begins with an analysis of the institutional fractures that sprang from Jean-François Lyotard’s promotion of postmodern science and the obsession of the academy to ‘make it new,’ following it with a meditation on Bernard Steigler and the “inorganic organization of memory” that “produces an open documentary archive of human self-study” (40). Chapter three further interrogates the nineteenth-century controversy that arose from Wilamowitz’s polemical attack on Friedrich Nietchze’s challenge to classical philology. McGann argues that the controversy exposed the inherent instability underlying “a supreme achievement of secular enlightenment — the historicist method of German scholarship” (61). That instability continues to reverberate within twenty-first-century academia as the twin poles of pragmatism and theory exert competing demands upon the discipline of philology. 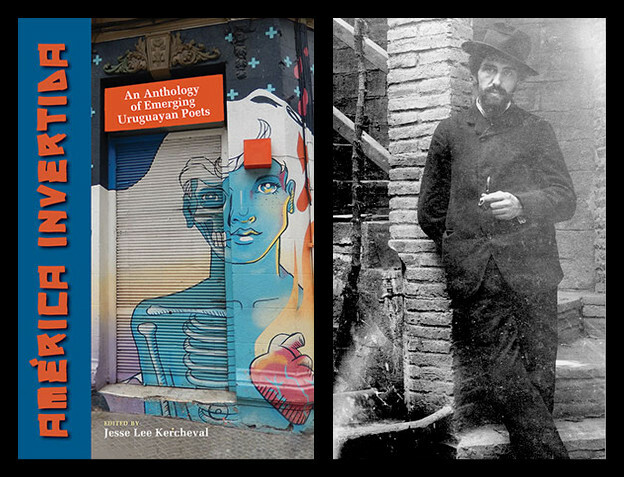 Chapters four, five, and six shift attention to the marked fields of the text and the sociohistorical and performative operations of interpretation. Here, the “inevitable failure of interpretive ‘adequacy’” must be acknowledged, McGann argues, as a prerequisite for working “toward discovering new interpretive virtues” (89). Chapter five explores the differences between book and TEI (Text Encoding Initiative) markup. Traditional textuality, as McGann observes, “provides us with autopoietic models that have been engineered as effective analytic tools” (98). Yet the difficulty arises when we endeavor to imagine the ways in which we can remodel these tools for a digital environment. “To do that,” McGann proposes, “we have to conceive formal models for autopoietic processes that can be written as computer software programs” (98). Chapter six builds upon these interlocking arguments by once more returning to J. C. C. May’s edition of Coleridge’s poetic works. Reimagining May’s edition in a digital form, in effect, illustrates the current gaps in technology to optimize scholarly editing. As McGann suggests, “We are not even close to developing browser interfaces to compare with the interfaces that have evolved in the past 500 years of print technology” (118). How do we manage the vastness of our material history — let alone examine the objects of memory with the sympathetic digital acuity — when the technological apparatuses are insufficient to respond to the demands of the social text? Lastly, chapters eight and nine offer two separate tour de force readings on the cultural registers of Edgar Poe and James Fenimore Cooper’s novel The Pioneers. Both chapters highlight McGann’s careful and detailed attention to the very different sociohistorical networks that are integrated into the social text. While McGann invokes a broad set of concerns, the pedagogical function of the digital archive is particularly fundamental to his claims. How can the systems and structures of digital humanities dovetail into the educational and scholarly mission of the humanities? How might scholars and educators elide the gaps between traditional scholarship and digital infrastructures that are increasingly being exploited to sustain cultural memory? The need “to integrate online humanities scholarship into the programmatic heart of the university” (144) requires a brave willingness to develop and enact policies and strategies to install scholarly digital ecologies into public education. Indeed, developing a programmatic collaboration of social agents with the institution of the archive is vital so to support the rich deposits of global cultural memory. Such a mission is all the more urgent as commercial enterprises — and the Google Book Project is an appropriate example, here — undertake and overtake traditional archival management. McGann’s shrewd familiarity with both the technologies of the archive and literary history is certainly one of the strengths of this book. And it is easy to lose sight of the social and political resonances in textual artifacts when the digital mechanisms of preservation, editing, and analysis offer excitingly novel forms of curation. This is not to say that a microscopic focus on digital apparatuses is not outside of inquiry. Indeed, the successful preservation of material artifacts remains dependent on the development of digital structures and conventions that can encode the historical networks in which the text operates. Yet this book brings into clarity the pivotal moment now bearing rapidly upon us, as scholars of the humanities, when practical decisions as to the preservation of literary histories have to be made. And to this end, A New Republic of Letters gestures towards the futurity of digital humanities as much as it reflects upon our cultural legacies. 1. Guy Pessach, “[Networked] Memory Institutions: Social Remembering, Privatization and Its Discontents,” Cardozo Arts & Entertainment Law Journal 26, no. 1 (2008): 74. 2. TEI is an international organization that develops and publishes standards for encoding machine-readable texts; it also refers to the technical guidelines and schema used for marking up text.